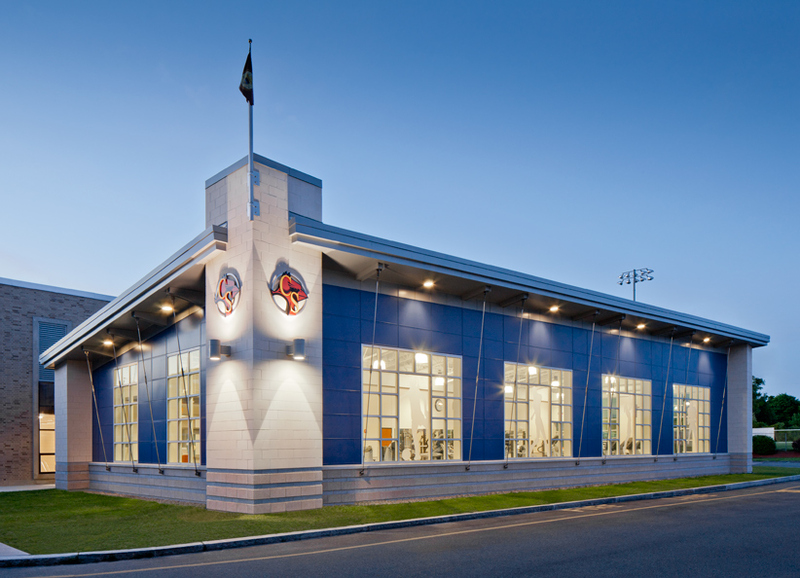 As part of the "Cardinal Spellman in the 21st Century" campaign, Ai3 Architects prepared a Master Plan and Conceptual Design options for the Cardinal Spellman High School, including a kick-off program which included a newly designed fitness and wellness center. The President and Board of Directors developed a visionary 21st Century educational strategy and procured the design services of Ai3 to create 21st Century facilities that support their long-term strategic vision. The Master Plan includes establishing a newly modernized building exterior which complements the 1956 architecture but clearly sets a tone for "Cardinal Spellman in the 21st Century". The expanded program includes new 21st century fitness and wellness facilities, Science, Engineering, and Technology facilities, Library/Media Center, Art facilities, and modernization of student dining.